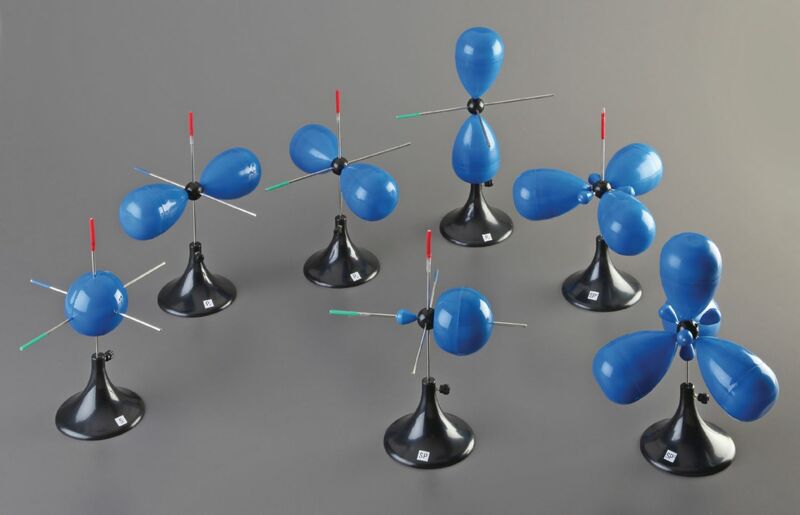 The most common atomic and hybridized molecular orbitals are illustrated in this set of seven models. Each model, which is mounted on a removable stand, is assembled on a vertical rod that represents the Z-axis. 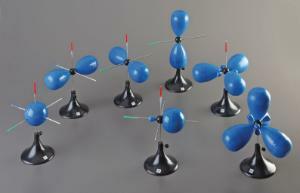 Models include the following orbitals: S, PX, PY, PZ, SP1, SP2, and SP3.